CAPITAL’s staff has performed a wide variety of tenant build-outs, base building construction, and renovation projects. Our staff has experience with Clients that represent a cross section of leading national corporations, developers, healthcare providers, financial institutions, religious organizations, and government bodies. Our objective in satisfying the needs of our Clients is to deliver a high quality project on time or ahead of schedule and within a prescribed budget. 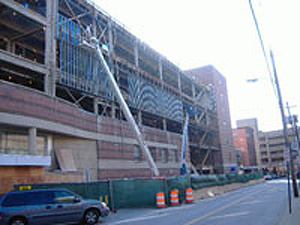 We have systems and processes in place to streamline the actual construction phase of your project. We utilize the latest technology to ensure that our time is spent on problem solving rather than on simply tracking problems.